Since 2012, the world’s most populous nation has imposed a stringent crackdown on Christians and other religious groups. Underground Chinese church leader Bob Fu shares the latest. In this photo taken Sunday, June 3, 2018, a demolished house church is seen in the city of Zhengzhou in central China's Henan province. Under President Xi Jinping, China's most powerful leader since Mao Zedong, believers are seeing their freedoms shrink dramatically. In 1989, he helped lead the Tiananmen Square demonstration against the Chinese state. Since then, Bob Fu has worked courageously to correct human rights abuses in his home nation. China is not a nation known for tolerating such dissent. 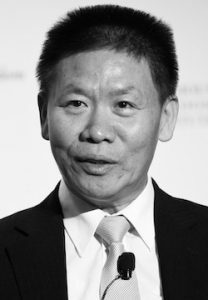 On Friday, the founder of ChinaAid and Chinese Christian leader addressed a Religious Freedom Institute conference in Washington, D.C. He shared how the Communist nation of China, with 1.4 billion people and the world’s second largest economy, is cracking down on religion. In recent months, China’s systematic suppression and persecution of religious minorities have made headlines worldwide. Reporting from Pew Research Center, NPR and the Associated Press reveals widespread surveillance of believers and the destruction of their churches. Christians are being arrested and even tortured for the faith. In an interview with The Stream, Bob Fu elaborated on what he has seen and how Western nations should respond. This live interview has been lightly edited for clarity. How is China restricting and persecuting Christians today? Bob Fu: President Xi Jinping considers Christians one of the greatest threats to his power. Underground churches are listed as one of the “new black five” national security threats in China. It’s new under this president for churches to be classified as a national security threat. Many classes of people are banned from entering into any church. These include young people under 18 years old, college students, doctors or medical professionals, civil servants, military members and educators. If they’re found, immediately their boss or a government official will be speaking with them. These are huge ramifications right now. In one school in Xinjiang, 200 students in one high school identified themselves as Christians. After three rounds of threats and intimidation from parents, teachers and headmasters, only one 14-year-old had the strength to admit he was still a Christian. Everybody else was forced to deny their faith. When did this latest round of Christian persecution in China begin? It really began after President Xi Jinping took office in 2012. He is now nicknamed “Emperor Xi” since he successfully removed his term limits in March of this year. 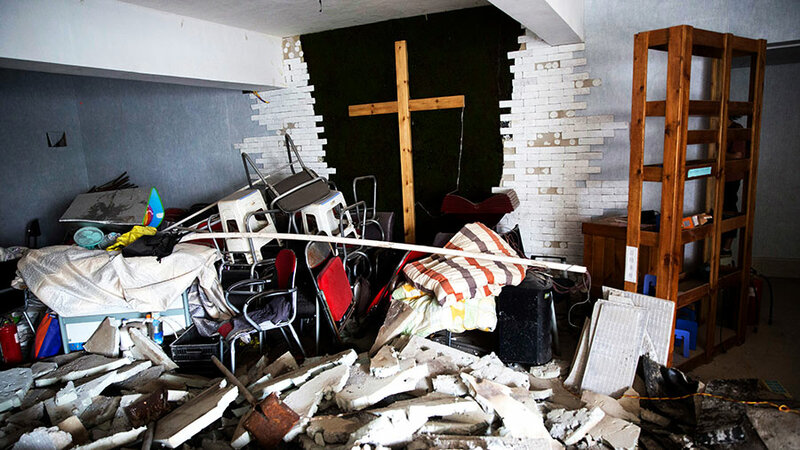 When he took power, the mass forced demolition of crosses started in Zhejiang province. That area is called the Jerusalem of China. Thousands of crosses have been burned and destroyed. Church leaders have been sentenced, arrested and beaten — simply for defending the cross. These are government-sanctioned churches. The house churches do not have buildings or a cross. President Xi was the former Party Secretary and Governor of that province. So this absolutely had the green light from him, if not directly ordered by him. It has become worse and worse. On February 1 of this year, a new law called “Regulations on the Administration of Religious Affairs” took effect. Things have become dramatically even worse. Bible-burning campaigns are happening across China. Now his successor Governor, who ran this campaign, has been promoted to Secretary General of the state consul in Beijing. How does China use technology to watch and control dissenters? China is perhaps the world’s most sophisticated surveillance police state. It’s beyond anything the U.S. does. Some of these efforts are aided by greedy American companies. They’re all kind of compromised, which is really unfortunate. Apple decided to remove all virtual private networks from Apple Stores across China. They have a segregated Chinese version of the Apple iCloud. Supposedly this China iCloud is still part of Apple, offering iTunes content. But it’s totally controlled by the Chinese government. Cisco and Google are similar. China has the most cameras in the whole world, on every street corner. These facial recognition cameras are part of their dynamic monitoring system. They can follow you anywhere. If you drive a car, they can quickly track your license plate. If you buy a train or bus ticket, as soon as you swipe your card, you are classified. I noted how China has five categories of dangerous people. Now China is also building the world’s largest so-called “social credit” system. If you get a traffic ticket, then one point of morality is deducted. If you are found in the underground church, your social score is essentially zero. You lose your right to buy airplane tickets. Last week, I was in South Korea attending a house church leadership conference. But 240 out of 300 church leaders were blocked in Chinese airports, even including Hong Kong, and declared as national security threats. They were not allowed to board the flight when they checked in to Customs. Who are the Uyghur people and how are they being persecuted? The Uyghur (pronounced “wee-gur”) people are a separate ethnic minority predominantly living in an area of west China called Xinjiang Uyghur Autonomous Region. That’s the official name, although there is no real autonomy. Their faith is Islam, as 99 percent of them are Muslims. There are about 20 to 25 million Uyghurs, who identify as a Turkish ethnic group. Every three blocks, Chinese police are stationed to look for so-called dissidents. They will stop you and examine your smartphone. If they find anything in the Uyghur language or a Uyghur song, you are immediately sent to a labor camp. Today, there are currently one to three million Uyghurs in concentration camps. They are being tortured. We have interviewed many witnesses whose family members are in prison or were killed. This is all well-documented. The Chinese government regime has designed special headphones for the Uyghurs to wear. They have to have them on seven days a week, 24 hours a day. It broadcasts the Communist Party songs to brainwash them. After three days of hearing this nonstop, how could you bear that? Many have gone crazy. They force these Muslims to sell and eat pork. I am not fabricating anything. The Uyghurs are currently facing genocide. The Tibetans already experienced this to a degree. Where is the United Nations? The world is not paying attention as they should. What can Christians in the U.S. do to affect the situation in China? Number one, you can raise awareness in your prayer meetings. 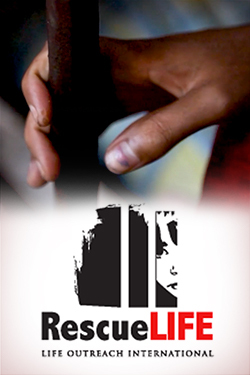 This past week was the International Day of Prayer for the Persecuted Church. Each church should organize a prayer meeting for the persecuted faithful. Number two is to build a coalition. Churches could allow persecuted Uyghurs to share their testimony and show solidarity with them. There are millions of them imprisoned. They are the modern version of Jews in the concentration camps. They are facing imminent gas chambers. It’s a serious deal. If we allow China to take them, then next will be our group. Number three, we should really work hard to urge elected officials to act. From the Trump administration to members of Congress, they need to make religious freedom a priority. They need to put perpetrators on the sanctions list. There is a law under which they can do that, the Global Magnitsky Human Rights Accountability Act. According to this law, you can sanction persecutors by revoking their visas to the United States and other Western countries and freeze their wealth. Most of them are corrupt officials. They have wealth buried in U.S. banks. They should pay a price and know that this activity is not welcome. I would hope that President Trump and even U.S. business leaders would raise these issues when they meet with Chinese officials. If they get pushback, they should speak louder. Discover more of Bob Fu’s story in the video below. Explore The Stream’s complete missions coverage. This is the future of the United States of America. In 2016, there was an abortion fanatic promising to persecute Christians who was running for president of the U.S. Bergoglio stole from Peter’s Pence and sent her a huge check–six or seven figures. What is happening in China to Catholics and other Christians is exactly what McCarrick, Bergoglio, and Parolin want to happen in any country where the government will co-operate.